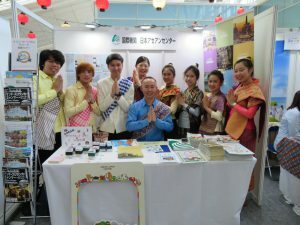 Tourism & Exchange Division, ASEAN-Japan Centre participated in “To overseas 2018” ~ From Haneda to the World ~. 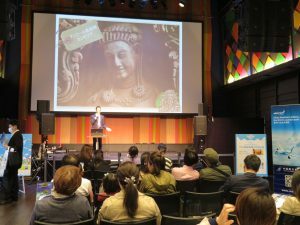 The event promoted outbound travel from Japan and was held for the first time at International Terminal, Haneda Tokyo Airport organized by TIAT (Tokyo International Airport Terminal). 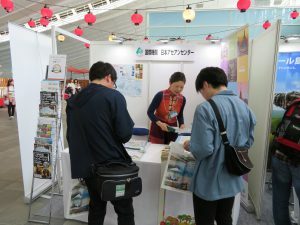 Throughout the event, ASEAN-Japan Centre distributed ASEAN tourism information materials and set stamps of ASEAN in the booth to let visitors make original coasters for entertainment. 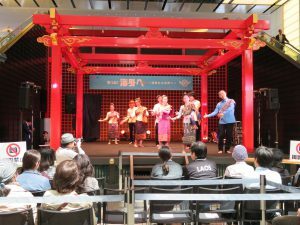 In addition, because year 2018 is Visit Laos Year, by introducing Laos Dance performed by Lao students and World Heritages of ASEAN in a seminar, we promoted ASEAN to be recognized as the travel destination.